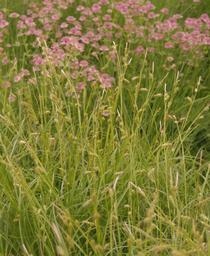 Korean Feather Reed Grass has beautiful airy pinkish inflorescences in September, above strong green foliage. 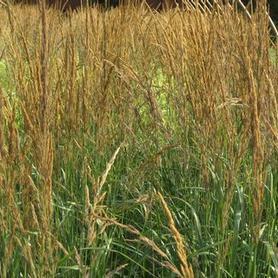 It is shade and moist site tolerant and blooms much later than other Feather Reed Grasses. PRN Preferred: Unsurpassed inflorescenses in the shade, combines with other perennials in mass for a striking impact. Calamagrostis x acutiflora 'Karl Foerster' has tan seedheads, is early blooming and has an upright habit; it starts blooming in mid June. 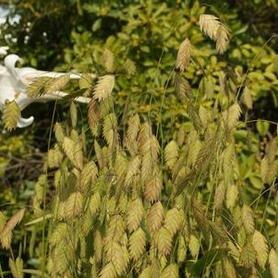 A 2001 Perennial Plant of the Year, 'Karl Foerster' Feather Reed Grass was named after our friend Tim Foerster's cousin, the great German nurseryman. 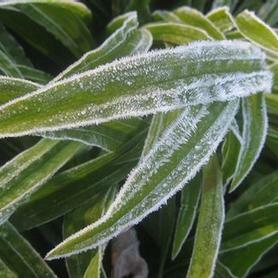 Winter foliage is a pale tan, and 'Karl Foerster' shows excellent salt tolerance. Karl Foerster found this lovely spontaneous cross at the Hamburg Botanical Gardens. 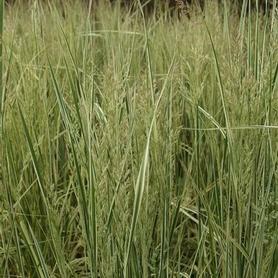 'Overdam' Feather Reed Grass has green and white foliage and tan upright inflorescences. 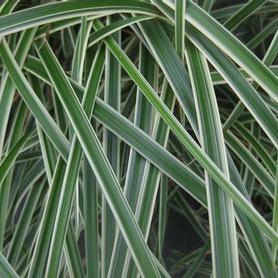 Thriving in both sun and shade, this is one of our favorite grasses. Winter color is a whitish tan. 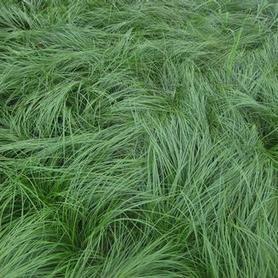 Appalachian Sedge is a fine-textured green clump-forming Carex that performs really well in very shady dry woodlands. The habit is arching, like a green fountain, so Appalachian Sedge is particularly attractive in mixed shade containers. Cherokee Sedge is an increasingly rare native that tolerates a wide range of conditions throughout the Southeast. The fine green foliage is fountain-like in habit, and the clumps slowly widen to make a natural looking groundcover. It tolerates dry conditions but is happiest in moist sites. 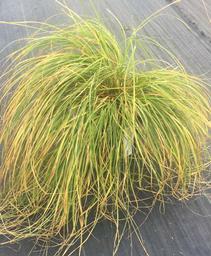 Since it is deer resistant as well as at home in both sun and shade, this Carex deserves more usage. Avoid hard cutback. Carex divulsa or Grassland Sedge has fine green arching leaves emerging gracefully from the central clumps. Carex divulsa makes an attractive substitute for grass in areas where there is tree cover, and spreads to make a neat green groundcover in areas of sun or shade. It is evergreen in warmer winters, and low maintenance at all times. The small interesting flower stalks or culms emerge from the foliage in April, turning bronze as they mature. 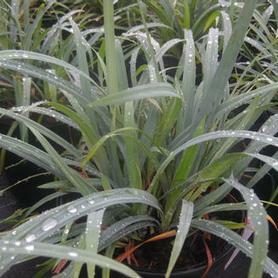 'Blue Zinger' Glaucous Sedge has beautiful grayish blue foliage that is similar in color to Festuca 'Elijah Blue', but 'Blue Zinger' is much more tolerant of different sites, going from shade to full sun. Carex flacca 'Blue Zinger' spreads rapidly to make a good tight groundcover. 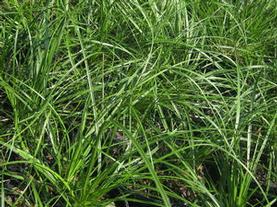 Gray's Sedge is a tall Carex which thrives in wet and shady locations. The light green semi-evergreen foliage grows 2', and is topped by 3' flower stems. The blooms rapidly turn to fascinating 1" spiky stars which are attractive in flower arrangements, fresh or dried. Carex grayi thrives in moist to wet conditions, so it naturally occurs along stream banks and edges of ponds. 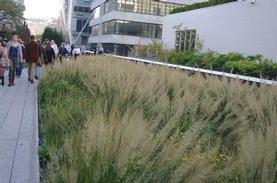 It is a striking addition to rain gardens and bioswales, and tolerates full sun if kept moist. Bunny Blue® ('Hobb') Glaucous Woodland Sedge has steel blue evergreen foliage produced by a neat, easily divisible clump. 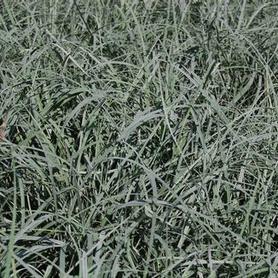 Carex Blue Bunny® prefers a woodland location, but will tolerate sun if the moisture is good. Because of its bright color and neat habit, it looks particularly attractive when colonizing a shady site (both moist and dry). A selection by Bob and Lisa Head of GardenDebut.com. 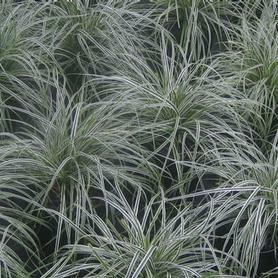 'Ice Dance' Japanese Grass Sedge has green and white striped foliage. 'Ice Dance' Kan Suge is a great evergreen groundcover that can cover a large, shady area rapidly and easily. The small flowers appear above the foliage in May. Introduced to the US by Barry Yinger. 'Everillo' Weeping Sedge starts the summer season with lime green mounding foliage that rapidly turns a vivid yellowish gold. Like its relatives, 'Evergold', and 'Everest', 'Everillo' is evergreen, so it lights up the garden throughout the year. 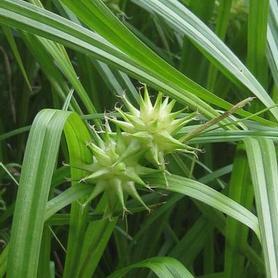 Carex 'Everillo' was found by Pat Fitzgerald of Ireland, as a naturally occurring sport of 'Evergold'. The graceful, flowing habit of the narrow leaves makes this sedge an excellent addition to mixed containers. 'Everest' ('CarFit01') Weeping Sedge is a lovely sport of Carex 'Evergold', with ivory white margins bordering the dark green evergreen leaves. The soft flowing foliage does well in woodland settings and in mixed shade containers, as its bright white stripes make a showy display. The habit is clumping. Found in 2006 by Pat Fitzgerald of Ireland. PRN Preferred: More vivid and vigorous than its ‘Evergold’ parent. Foliage arches up from the crown and weeps gracefully. 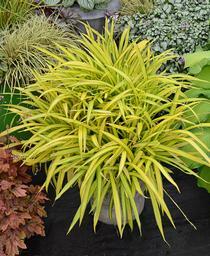 'Evergold' Golden Sedge has yellow and green striped evergreen foliage. It is stunning as a container plant. This sedge looks good virtually year-round, and Bruce Crawford of the Rutgers Gardens has found that it is tolerant of full sun and poor soils as well. Wow! Pennsylvania Sedge has fine green leaves which are semi-evergreen, spreading slowly by rhizomes to form a tough groundcover in shady areas. Most effective if planted in mass. It can be used instead of grass in the shade. It is very tolerant of foot traffic as well. Mow infrequently. Seersucker Sedge lives up to its common name with its wide green leaves that are "puckered like Christmas ribbon", as those articulate folks at North Creek Nurseries say. 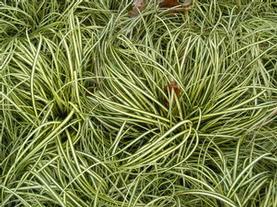 It tolerates moist locations and adds winter interest because this Carex is evergreen. PRN Preferred: We love the unique, seersucker texture of the foliage and the purplish inflorescences. 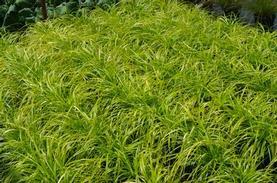 'Banana Boat' Creeping Broadleaf Sedge has broad yellow deciduous leaf blades with green margins on a slowly spreading groundcover habit. The leaf color lights up shady spots, and is showy until the first heavy frosts in fall (this is a deciduous Sedge). 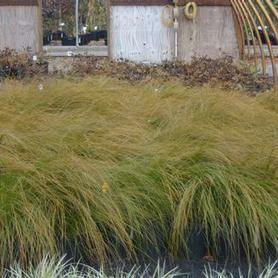 Carex siderosticha 'Banana Boat' tolerates moist soils. so it would be a good addition to rain gardens and damp woodland locations. 'Prairie Fire' Orange New Zealand Sedge has thin long green blades in summer that take on shades of bronze, orange and red in fall and winter. Evergreen and of striking winter interest. Do not cut back old foliage until May or later. Good drainage is critical for this plant. Northern Sea Oats has showy oat-like seedheads in August over green foliage. Great for dried grass arrangements. Birds and woodland animals love the seeds especially in winter. It seeds itself readily along forest edges.